CODE LiFE represents the Montreal General Hospital Foundation’s pledge to strengthen and deliver vital care to our community. It acknowledges that life is precious and affirms our mission to protect, heal, extend, and save lives both at the Montreal General Hospital and across the McGill academic health network. CODE LiFE draws on the familiar language of hospitals to signal a sense of urgency, rallying the skills, compassion and care of our medical and community leaders to safeguard life. As our population ages and standards of care advance, we’re supporting our medical leaders in evolving our clinical and technological leadership, and — above all — service to our community. Our hospital was built in the 1950s to meet medical practices based on long hospital stays, invasive diagnoses and interventions. Our leadership is now poised to invest in a comprehensive modernization that will give us the tools and infrastructure to apply 21st –century best practices. 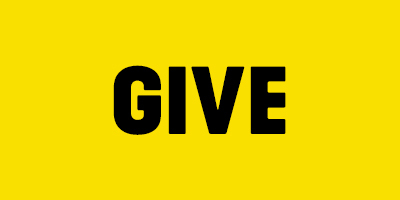 With the CODE LiFE Campaign, our goal is to raise $100 M to provide our medical teams with an environment that allows them to best provide vital care to our deserving patients and to pursue innovative research projects. Thanks to our donors, our medical teams will work in a cutting-edge environment, and have funding to conduct essential research, beyond our 200th anniversary in 2021. MGH teams provide tertiary and quaternary care in a multitude of disciplines. Patients are referred to our experts from Montreal, from across the province, and on occasion, from elsewhere in Canada. The care we offer is nothing less than vital. Given the numerous needs identified by our teams, the support we’re asking the community to provide is equally vital. People who come to our hospital were often not expecting it: road crashes or work accidents, new diagnostics, mental health issues, when life pushes you to the limits of your capacities it rarely gives you a headsup. That’s where our teams come in play. We want to remind the community that we will always be there for them and to educate those who may not know that our trauma centre and specialized clinics serve a vast territory. This is why we developed an awareness campaign leveraging television and the internet. 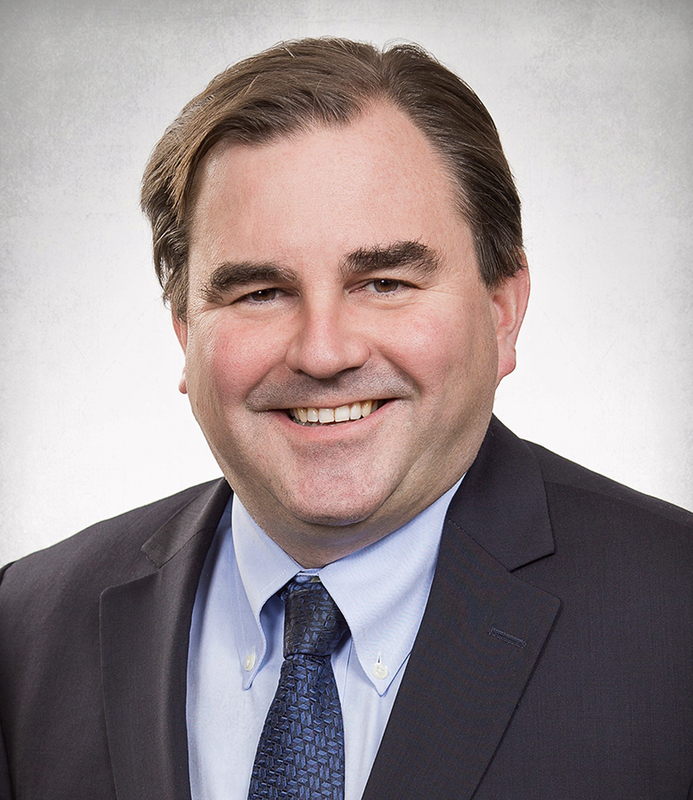 The Health Minister of Quebec recognizes the Montreal General Hospital as a major hub in the province’s health network and will invest in the MGH’s mission by providing $300 M for a major modernization project. With the reconstruction of most of the MUHC hospitals, it’s our turn to be re-energized! 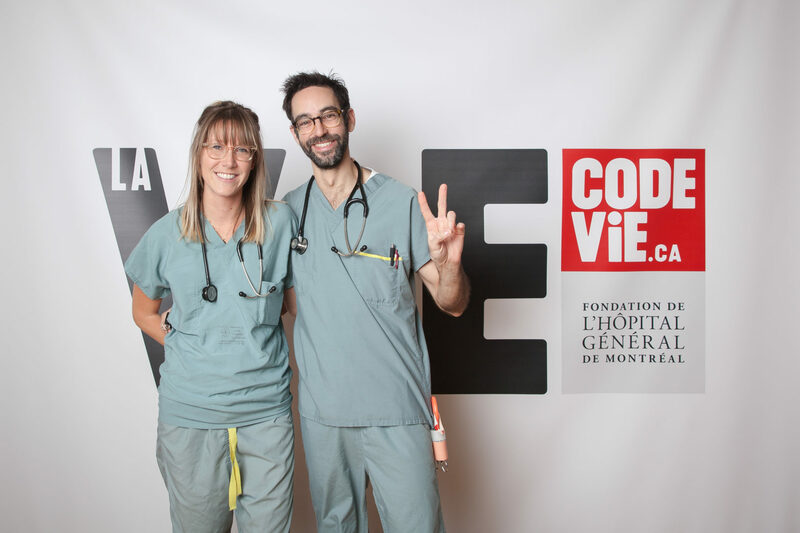 To complement the government’s investment and to bring patient care, research and medical expertise to a new level of excellence, the CODE LiFE Campaign of the Montreal General Hospital Foundation is calling on the generosity of the community. 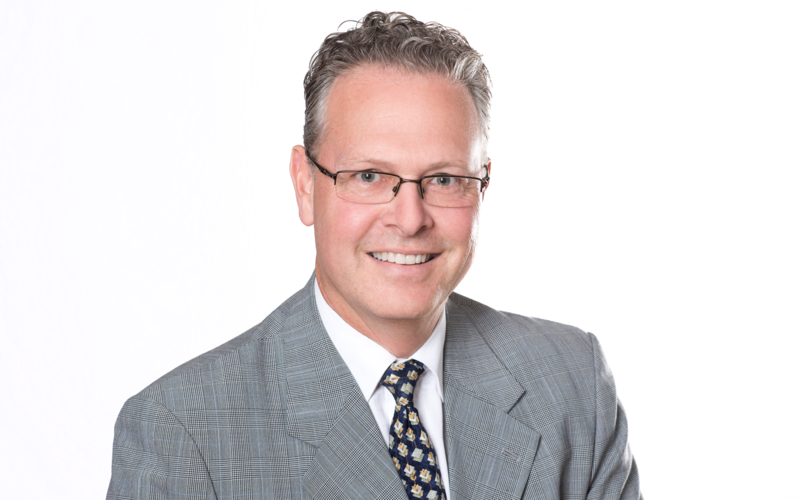 To reach its goal of raising $100 M over three years, the Foundation can count on the help of a strong Campaign Cabinet co-chaired by André Desmarais, France Chrétien-Desmarais, Andrew Molson and David Mc Ausland. 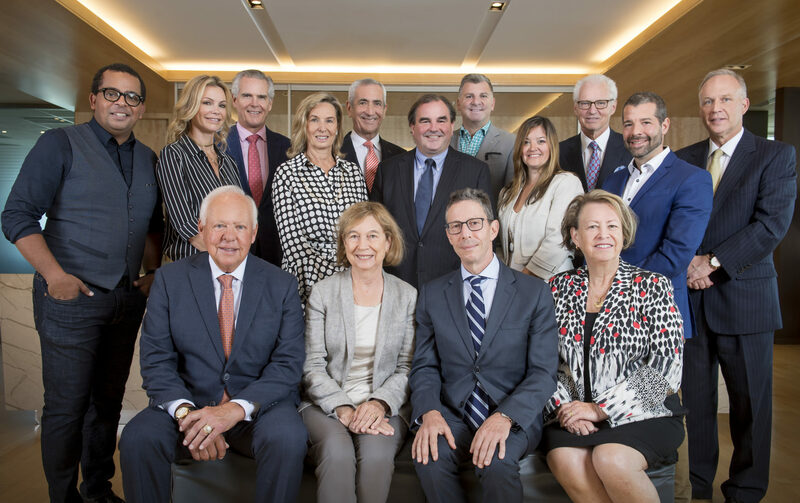 From left to right, back row: Gregory Charles, Caroline Néron, David Mc Ausland, France Chrétien-Desmarais, François-Xavier Seigneur, Andrew Molson, Vincenzo Ciampi, Kim Anderson, André Desmarais, Jacques Chamberlain, Mark Smith. Front row: Yvan Cournoyer, Gail Jarislowsky, Richard Cherney and Brenda Gewurz. The Montreal General Hospital was built in the 1950s to meet the patient needs of that era. The time has come to invest in full-scale modernization. The Quebec government has committed to investing $300M in the construction of a new wing that will include an emergency room, operating rooms and a sterilization unit. We hope to do our part as well. We owe it to our incredible doctors, nurses and especially to our patients to provide the best support, equipment and environment to shape vital care for the 21st century.